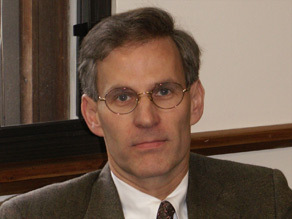 Editor's note: Jeffrey A. Miron is senior lecturer in economics at Harvard University. Economist Jeffrey Miron says bailing out homeowners is exactly the wrong medicine for the economy. CAMBRIDGE, Massachusetts (CNN) -- Later this week, the Obama administration will announce the details of its Homeowner Affordability and Stability Plan, an attempt to rescue homeowners from the housing meltdown that precipitated the financial crisis. The plan uses $275 billion in taxpayer funds to help homeowners refinance at lower interest rates and to subsidize payments from borrowers to lenders. The plan also contains new capital injections for Fannie Mae and Freddie Mac, and it gives bankruptcy judges power to reduce mortgage payments from borrowers to lenders. This plan is exactly the wrong medicine for the economy. Here's why. The plan's primary aim is to reduce foreclosures so that delinquent or near-delinquent borrowers can stay in their homes. This might sound like a worthy goal, but it ignores a fundamental reality: Government cannot produce the funds out of thin air; it must raise them from taxpayers. So government payments to troubled borrowers come from people who did not stretch their finances to buy homes, or who bought small, less expensive homes, or who economized on other expenses. That is, the plan penalizes cautious taxpayers to bail out those who took bigger risks. This does not mean delinquent borrowers were all irresponsible or ill-intentioned; many were just too optimistic. At the end of the day, however, borrowers should have suspected that mortgage loans with limited down payments and no requirements to document income, or that made little sense unless housing prices increased continually, were probably too good to be true, as they were. Insisting that borrowers, not taxpayers, bear the consequences of these questionable decisions would provide the right incentives for appropriate risk-taking. This applies to homeowners and bankers alike. Advocates of the president's plan will respond with two arguments. The first is that foreclosures are bad not just for borrowers but for surrounding neighborhoods as well. The White House, for example, says that "each foreclosed home reduces nearby property values by as much as 9 percent." This is a heroic reading of the evidence; the best and most recent studies find a much lower number -- like 1 to 1.5 percent. Even this amount is uncertain, since it is difficult to determine whether foreclosures cause home values to decline, or vice versa. Thus the beneficial spillover from reducing foreclosures has been grossly exaggerated. More generally, nothing in this plan is likely to prevent a continued downward movement in housing prices, given the ongoing weakness of the economy and the fact that, by historical benchmarks, housing prices are still above their sustainable level. Attempts to prop up housing prices, moreover, are counterproductive since they encourage allocating too much of America's capital to housing. The second argument made for preventing foreclosures is that loan modifications -- reduced payments of interest or principal -- can benefit lenders as well as borrowers because foreclosure is costly for lenders. If this is the case, however, then renegotiation is mutually beneficial and likely to occur without government intervention. The difficulty is that many securitized mortgages -- those that have been bundled with other mortgages and sold as a package to investors -- place limits on loan modifications. The fact that existing contract terms are no longer seen as ideal, however, does not justify the use of taxpayer funds. The limits on modifications in securitized mortgages are there for a reason: to protect investors against modifications that might be excessive. The fact that investors were able to include such features means that, on average, borrowers received lower interest rates than otherwise. Thus helping out borrowers now is again rewarding those who took calculated risks but do not want to accept the downside of agreements they earlier accepted. The claim that loan modifications are good for both lender and borrower, moreover, is readily used as an excuse to cram lower repayments down the throats of lenders, even when this is just a rip-off from lenders to borrowers. Since housing prices are likely to decline further, and since the economy is in recession, many borrowers are unlikely to make their payments consistently, even if their loan values or interest rates are reduced. Loan modification therefore just pushes defaults down the road. The worst implication of the administration's plan is that it will make future lenders wonder whether they can rely on the contracts they sign or instead see them renegotiated in hard economic times. If they fear this latter outcome, the logical response is to lend only to the most deserving borrowers, which adversely affects households with reasonable but less-than-perfect credit histories. This is also why rewriting bankruptcy rules on existing mortgages is undesirable; it has a chilling effect on future lending. The desire to reduce foreclosures is also misguided because it perpetuates a flawed government policy: the attempt to expand homeownership. This long-standing U.S. obsession distorts market efficiency by shifting capital toward housing and away from factories or research and development. Thus rather than continuing this goal by giving more money to Fannie and Freddie, policymakers should eliminate those institutions along with all the other policies that favor homeownership. It was precisely government policies that encourage homeownership, combined with past bailouts of private risk-taking, that generated the financial crisis in the first place. The Obama plan to help homeowners will exacerbate this problem and generate a larger one in the future. It is time to learn from our mistakes. The opinions expressed in this commentary are solely those of Jeffrey Miron.